After a New Jersey Transit commuter train crashed into the Hoboken Station platform on Thursday, Sept. 29, the incident was being investigated by the National Transportation Safety Board. The accident, which occurred at approximately 8:45 a.m. ET, left at least one person dead and 100 injured. As the incident unfolded on Thursday morning, people at the scene of the accident spoke about the troubling experience. William Blaine, a freight engineer who was at the station as the accident occurred, tells Bustle that when a train is pulling to a stop "[its] speed should be like five, two, three, one mile an hour." He noted, however, "I looked to the right and I just saw the train in the building, I thought, 'Whoa, that train had to be going at least 30 miles an hour." It is not yet known how fast the train was going when it crashed into the station. A former NTSB board member named John Goglia told NBC News that the investigation into the accident will focus on the train tracks and the train engineer's sleep patterns as of recently. Camille Marino, who was at the scene, tells Bustle that passengers and witnesses at the platform helped one another to safety or tried to provide comfort in whatever way possible. "I did whatever I could do. I hugged people who looked like they were having a hard time. I saw a woman crying, so I asked if she was OK, 'What can I do, can I help you?'" Blaine tells Bustle, "The train is like a car. It's going to slide still, but it will stop the train." He adds, "That train never should have came in like that. Period. No way like that." Kitty Higgins, a former board member of the NTSB told MSNBC, "Why that happened, we obviously have to find out. Was there something that happened to the driver, was there an equipment failure we don't know [about] yet? That's what will be looked at." Blaine shares his account to Bustle, noting, "I turned around and you heard a 'kaboom' and it just got quiet because the first thing you think is terrorists, I'm sorry, but that's just how it goes in this country. I said, 'My god, did somebody blow it up?' But then I heard water running in, so I looked to my right and saw people laying down and debris and metal all over the place." Donna Murray, who was on the light rail next to the train terminal, echoed similar sentiments, telling Bustle, "Heard it on the light rail... People running on. 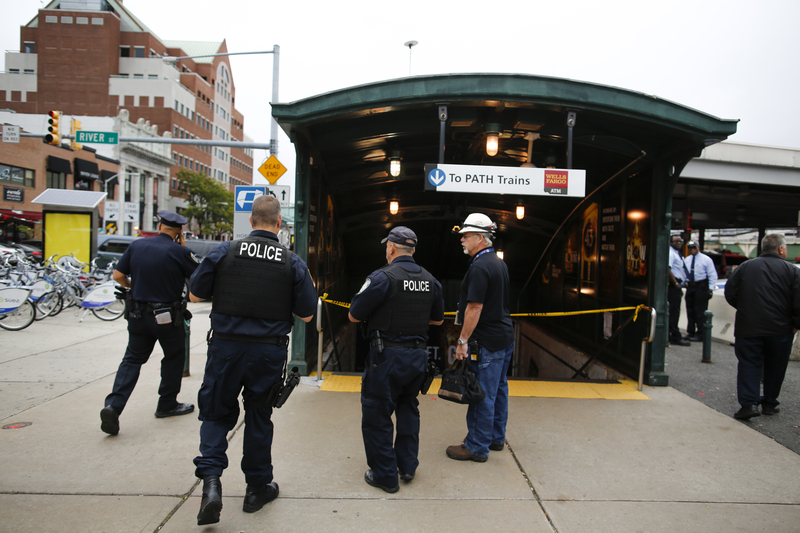 My co-worker's husband was in the station bathroom and thought a bomb went off." However, the incident is being investigated as an accident. New Jersey Gov. Chris Christie said in an official statement on Thursday that we should "not [jump] to conclusions." For those needing to commute on Thursday, NJ Transit's buses, private carriers, and ferry services will be cross-honoring NJT rail tickets and passes.